Getting together with other like-minded individuals and families sharing experiences and inspiration is truly a blessing. Throughout the year, RVRN offers a variety of events that provide opportunities to make tangible connections and grow a support network focused on loved ones with special needs. 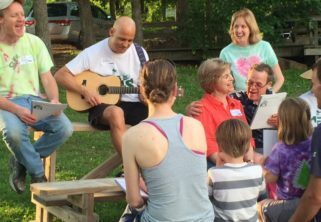 Camp can be for everyone — including families! Most agree an outdoor camp experience is very special — new friends, new adventures, new challenges and tons of fun. For the people we support, it’s much more than that. It’s an opportunity to step beyond society’s limiting labels and experience challenging outdoor activities in a loving and supportive environment. Many camps offer programs during the summer months and holidays, including Memorial Day weekend and Christmas. Rainbow Valley Resource Network (RVRN) provides financial assistance to these dear friends who have chosen Christian Science as a way of life. 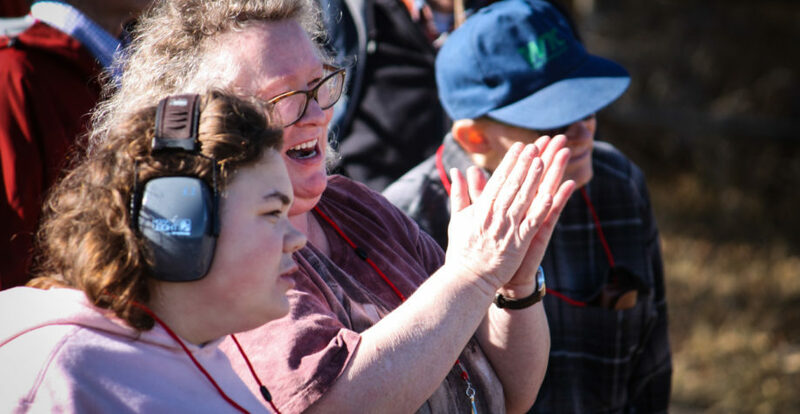 Your donations help cover tuition and travel for those with special needs, so they can join their families for an unforgettable experience at a camp of their choosing. If you are interested in volunteering as a Chaperone, please visit our Chaperone Page to learn more. Questions? Or for more information, please contact us at: 970-633-2131 or admin@rvrnetwork.org. One of our most impactful programs! RVRN has worked closely with the staff at the A/U Ranches’ 100 Elk Outdoor Center in Buena Vista, Colorado to create an outdoor education program tailored to the special needs of our constituents. 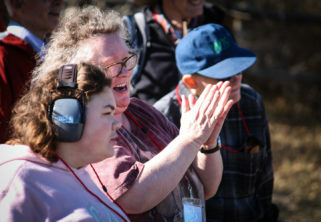 All activities are adapted to meet the unique needs of each participant. For more information, please contact: 970-633-2131 or admin@rvrnetwork.org. We look forward to seeing you! Sign Up Today for News Updates! Rainbow Valley Resource Network, Inc. Copyright by RVRN 2019. All Rights Reserved.